Online hosted customers were upgraded to MC v6.0 on June 3rd, and onsite customers will have the opportunity to upgrade beginning in July. To acquaint our customers with the extensive new features included in this release, we are posting a series of six informative blog posts. This first post in the series will highlight two valuable new features that improve the Work Order Module, creating custom work order filters and linking multiple assets to work orders. 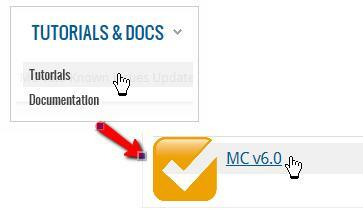 Tip: Keep an eye on the MC User Connect Tutorials and Docs Page for the series of videos that are being published on MC v6.0 Features. New videos will be posted each of the next few weeks! Custom Work Order Filters can now be defined by Repair Center (RC) and displayed on the Home Page and the Work Order Explorer Filter List. Up to 10 custom filters can be defined per RC, such as “High Priority Work Orders for Electrical Shop”, allowing for single click access to important records. Tip: It should be noted that these filters can be further tailored per member, using the available “My Preferences” option. Multiple assets can now be linked to a work order directly from the Work Order Tasks Tab. Inclusion on the Tasks Tab will ensure the work order is included in the Work Order History for each specified asset. Previously, this could only be accomplished through a defined Procedure/PM. To assist in locating work orders that are indirectly tied to an asset through the Work Order Tasks Tab, there is a new “Asset” control on the Work Order Explorer Criteria Dialog (in addition to the “Location” control). This new option returns all work orders tied to the specified asset on either the Details Tab or Tasks Tab. In contrast, the “Location” control will continue to return work orders associated with the specified asset/location (or any asset/location below that level of the hierarchy) only when the asset is directly specified on the Details Tab. Tip: To minimize disruption to your business process, many new capabilities are disabled in the upgrade process through the use of System Preferences and Access Group Permissions. This allows your organization to become acquainted with features and configure them as desired prior to enabling. Contact your System Administrator for assistance with enabling a desired feature that you see described in this blog series. Check back next week for information about the extensive new capabilities available from the Service Requester. In this second post in the “It’s Your Preference” series, we will explore the extensive preferences available to customize the appearance of the Work Order Report that is often printed or emailed to technicians. To modify this report, select Tools->Preferences from the Menu Bar, ensure the Work Order Folder is selected, and then scroll down to the section on the Work Order Report. The configuration options available are especially helpful for formatting the presentation for online/email display, versus a printout on which information might be written down. As an example, the first preference listed allows you to specify “line height” so that you can extend the space between lines in the “fill in the blank” sections when technicians will be writing information on the form. Additional settings indicate the number of blank “fill in” lines that should be displayed, such as lines for technicians to “list” parts that were used. If technicians in your organization update information directly into the system, the Work Order Report can be configured to minimize or hide these “fill in” sections. As the above image indicates, there are a set of preferences that allow you to configure the “Maintenance Details” area displayed at the top of the report, as well as specify the level of detail that should be included (e.g., asset address, asset details such as model and serial number). A number of these settings were added in Version 5.0 of Maintenance Connection. Stay tuned for next week’s post in the series, in which the options to configure the Purchase Order Report will be highlighted. In this last post in the series on Lightly Used Features, we will show how predefined “comments” can be used in the Labor Report and Task Completion Comments to support more rapid and consistent data entry. Customers often look for ways to ensure that data entered in the system is consistent for reporting, and this can be a challenge in free form entry fields such as the Labor Report. Taking advantage of the “Quick Add Comments” feature is a great method to increase standardization. Selecting a value, places the selected “comment” into the Labor Report, where additional details can be added as needed. The same lookup is available when the user clicks the button on a Task Record to access the Task Comment Dialog.